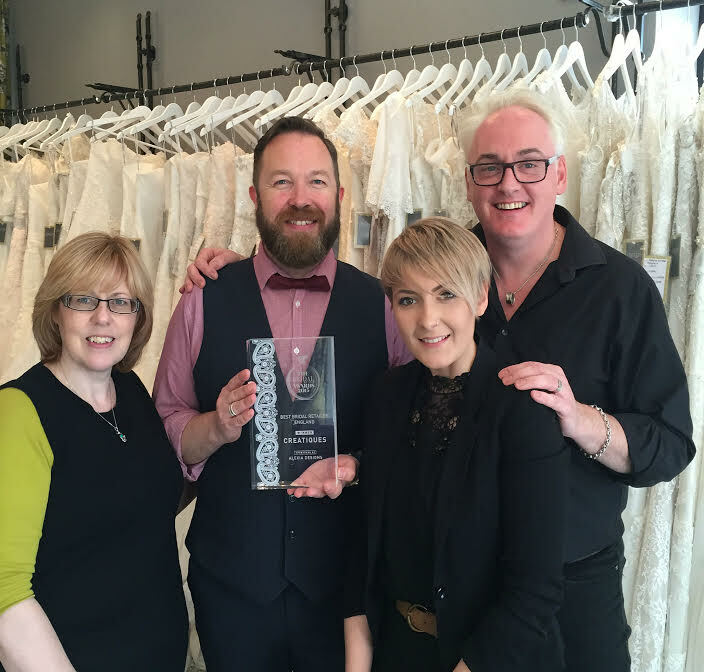 We chat to the fab team at Creatiques, after winning Best Bridal Boutique for the 2nd year in a row! 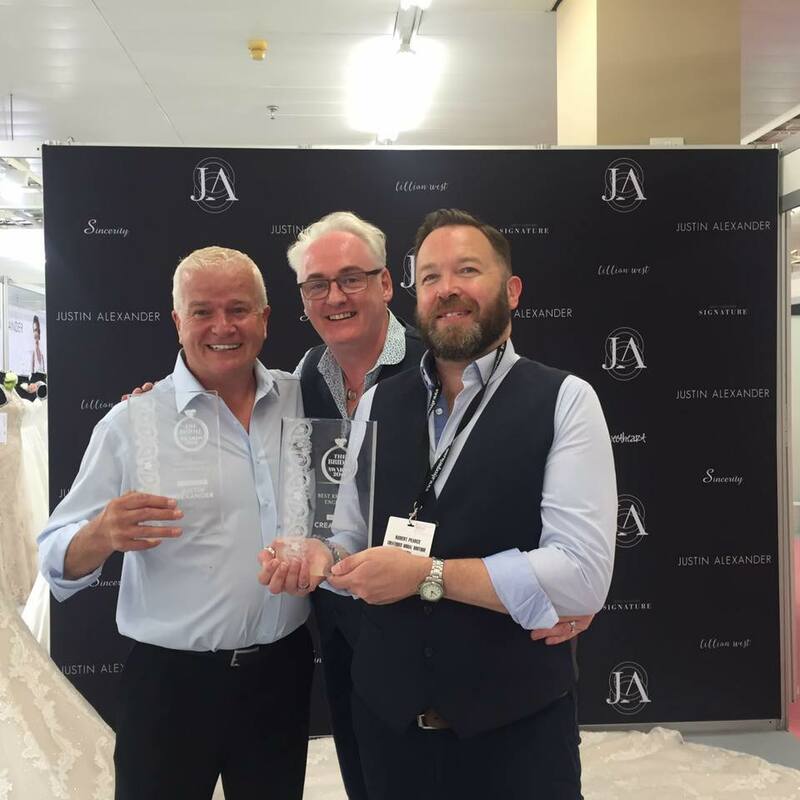 Congratulations on winning Best Bridal Boutique at the Bridal Buyer Awards last month! How does it feel to win? Wow – that’s all we can say! It’s been an incredible achievement for our store to win this for the second year, the submission took over 80 hours to write, we were overwhelmed with the win and also the response from other people in our industry. This is the 2nd year in a row you have won the award, what do you think makes your boutique stand out from the rest? As a boutique our customer service is exceptional. 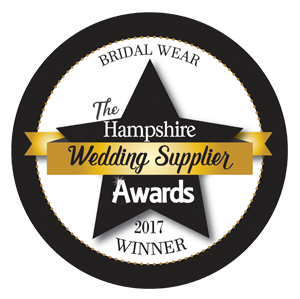 We look after each and every bride that comes into the store, going above and beyond with our service – hand delivering dresses and accessories on the day or night before the wedding. We also do a lot of fundraising within our local area, raising money for many different charities. What advice would you give to brides starting their dress search? Do your research! There are many different designers out there so have a look for the nearest stockist of that designer and book an appointment. See if there are any designer events on in your area, this will then show you the entire collection of that designer for the current year. We have events for every single one of our designers, which is a great way for brides to find “that dress” that we may not have as a sample in our store. What is your best-selling designs and what do you think brides love about them? Sincerity, style 3801 – the ultimate light ball gown, with delicate sparkle, which can be complemented with several jackets that we have in store. Dakota by Enzoani – this dress really stands out as the fishtail everyone wants. Justin Alexander, style 8825 – We just love this designer! The quality of the gowns and the cost is fab. You just can’t beat style 8835 in soft beige and ivory, with high lace neckline, drop waist gown and organza skirt. What can you offer brides who come to the boutique? We have been told on many occasions, you don’t buy a gown from Creatiques, you buy style! We have an incredible team in the store but also recommend the wedding team for the day of the wedding, for makeup, hair etc. Brides love the fact that we can take over the morning and it’s completely stress free. On another note, we feel that we have the best 7 designers in our store, every collection is so different from the next. We have spent time choosing our designers for what they can offer our brides. What can we expect from Creatiques for 2017? It’s going to be a big year! We start with a huge charity event for the Wedding Wishing Well Foundation, we cant say too much, but watch this space for more details. We will have a bridesmaids’ room within the store, so that the bridesmaids can have a full experience whilst choosing their dresses too. And, more designer events. The dates are confirmed and we shall be adding these to the events pages on our website soon. Head to creatiques.co.uk for more details now.